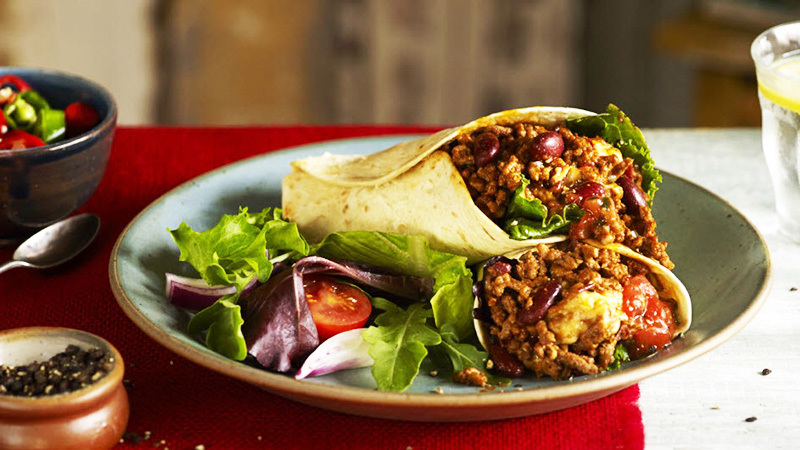 Settle into this wonderfully simple and tasty bean & beef chilli burrito. Tender chilli beef in a rich, tomato & bean sauce is topped with crisp lettuce, with grated cheese and tomatoes heaped on top. A simple dish that is simple to make and delicious to eat, it’s a wonderful lunchtime or dinnertime meal enjoyed with family and friends. Get your hands messy and enjoy this Mexican classic. To make your beef buritto, heat the oil in a big pan or cooking pot, throw in the mince beef and cook on a medium heat until tender and brown. Hold the lid over the pot and pour away the excess juices. Now pour over the sachet of rich Tomato & Bean Stir-in Sauce and the water, then simmer uncovered for about 5 minutes. Keep stirring to make sure it’s all mixed up and evenly cooked. Pierce the packaging on the Soft Flour Tortillas and microwave on full power for 35-40 seconds or heat them in the oven until they’re nice and toasty. Keep them covered until ready to serve. Gather your amigos together, put the big bowl of beef and bean chilli on the table, and let them tuck in. 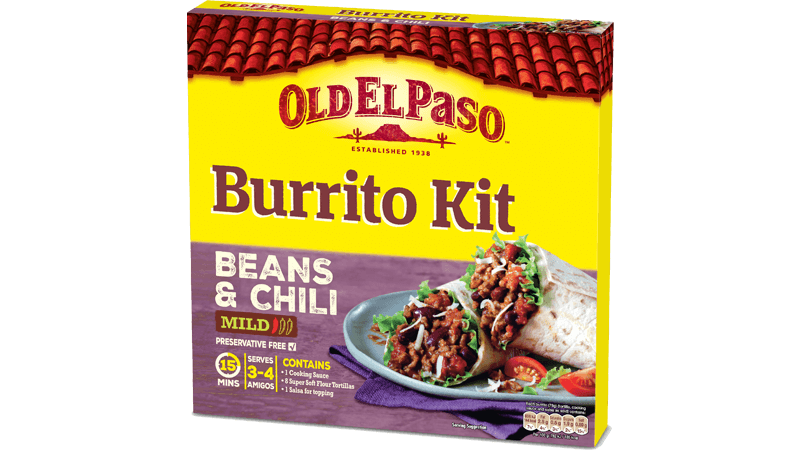 In El Paso we make a bed of lettuce and tomato in the centre, load a couple of spoonfuls of chilli, cheese and salsa and wrap the warm, soft tortilla around the filling and tuck it in at one end to make a snug burrito - but you can make them however you like!